This template showcases the offerings of a gymnasium. 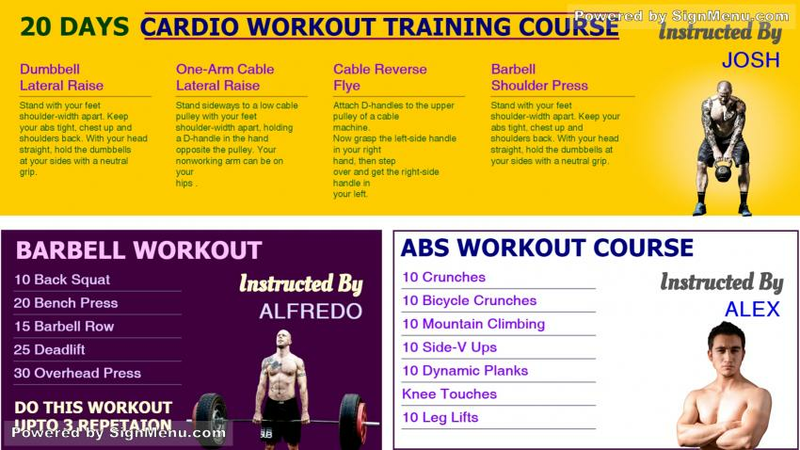 The multi-color, multi-font template provides a simile to the variety of gym offerings. Specific offerings for specific niche customers - as it should be for a gymnasium business. You too can use this template to place on a digital board. This template can be downloaded for use and edit.